splatter their schedule as the temps heat up. Following Blood Clan at midnight is the French shocker Frontiere(s) in which a family of cannibalistic Nazis terrorize a gang of thieves. Can you handle even more terror? Then check out the J-Horror classic about the mystery of a cursed video tape that inspired The Ring, Ringu airs at 8 p.m. on Sunday, July 21. So we’ve been to Israel, France, Japan ... how about a quick jaunt to Uruguay where a young girl is seeing and hearing some crazy things during the repair of daddy’s cottage? Check out the inspiration for Silent House ... La Casa Muda airs after Ringu at 10 p.m. La Casa Muda’s broadcast premiere is on July 13 at 8 p.m. ET. 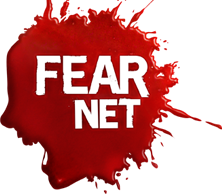 Starting Monday, July 1 at 9 a.m. PT and running until 5 p.m. PT on Wednesday, July 31, participants can enter FEARnet’s Slice of Summer Sweepstakes for a chance to win an NEX-F3 camera; a DL & Co. Forbidden Fruit Candle; Cabin in the Woods, Disturbia, and Piranha on DVD; FEARnet swag; and much more. An Urban Legends double feature on July 7 starting at 10 p.m. ET with Urban Legends: Final Cut and followed by Urban Legends: Bloody Mary at 12 a.m. ET. -3 Extremes II airs immediately following at 12 a.m. ET and three new stories are told: Kim Ji-Woon’s “Memories;” Nonzee Nimibutr’s “The Wheel;” and, “and a cop is captured by a physician who keeps his dead wife’s body in his apartment” (“Going Home”).